Come on over to the Mr. Rogers Neighborhood train tracks to visit the Scottish Clan area. Visitors will encounter kilted clansmen and clanswomen, many in traditional Highland garb, with the multitude of tents making the area feel like a village. One can discover their Scottish roots, learn more about their heritage, and find who their extended family may be. Even visitors of non-Scottish descent will enjoy a tour of the clan area. While there you can take the wee lads and lassies around with their Highland Passport booklets and collect stamps and signatures from the clans people and chat with friendly and knowledgeable representatives. A Scottish clan, as the term is currently used, derives from the Gaelic word "clann" (meaning children, off-spring or descendants) and is a kinship group. Clans give a sense of shared identity and descent to members, even though most aren't directly related. 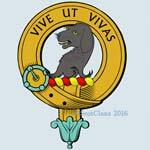 In modern times Clans have had an official structure recognized by the Court of the Lord Lyon, which regulates Scottish heraldry and coats of arm. 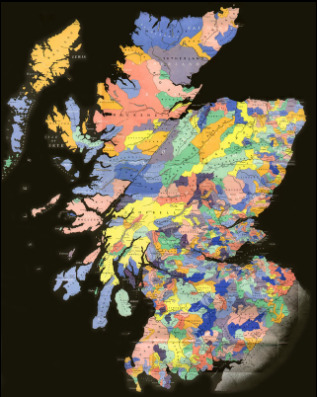 Many clans have their own clan chief and generally identify with geographical areas originally controlled by their founders, sometimes with an ancestral castle. And most Clans have their own tartan patterns which are often incorporated into kilts and other clothing.